VDI100 Inverters Series Offer The Utmost Flexibility Of Application To Modern Automation Systems And Ensure Ease Of Use, While Guaranteeing Advanced Control Capabilities For Both Asynchronous And Permanent Magnet SPM And IPM Motors. 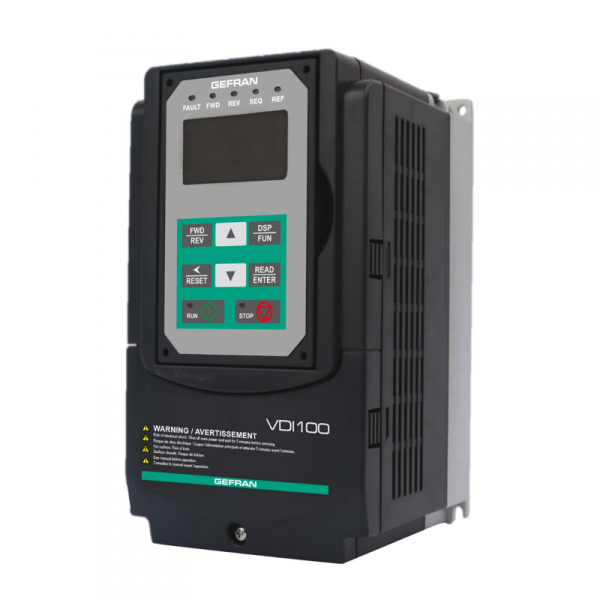 VDI100 Inverter Features An Intuitive And User Friendly Interface To Enable Immediate Motor Start-up And System Functions To Implement Control Architectures For The Most Advanced Application Solutions, All With Maximum Energy Efficiency. The VDI100 Series Offer A Perfect Automation System Integration With “universal” Standard Configuration, Optional Cards And Accessories. All These Elements Offer Real Advantages In Terms Of Product And System Optimization And Cost Saving.